~ What is with all the damn LJ comment spam these days? Aaaargh. ~ Saw Transformers 3. It was, IMO, the best of the three, and it was definitely leagues better than the second. The model who replaced Megan Fox was a better actress, thank goodness, and the stupid humor was kept to a minimum. ~ Mark is back from Japan, and his jet lag is proceeding as normal. Meaning he can't sleep until the wee hours of the morning, and is groggy and tired when he gets up around 11:00, needs a nap by 3:00, and then is wide awake until it starts all over again. Poor guy. When I get done uploading them to my flickr account, I'll post a link. Oh, my goodness, Taj is gorgeous! And from the look of... her(? ), she knows it. They have four male tigers. Taj and Almos were not from the same litter, but they were raised together as cubs. In fact, the first thing Taj saw when he opened his eyes was Almos, so the two are best friends. The zoo has two other male tigers also raised together, and a full year younger than Taj and Almos. 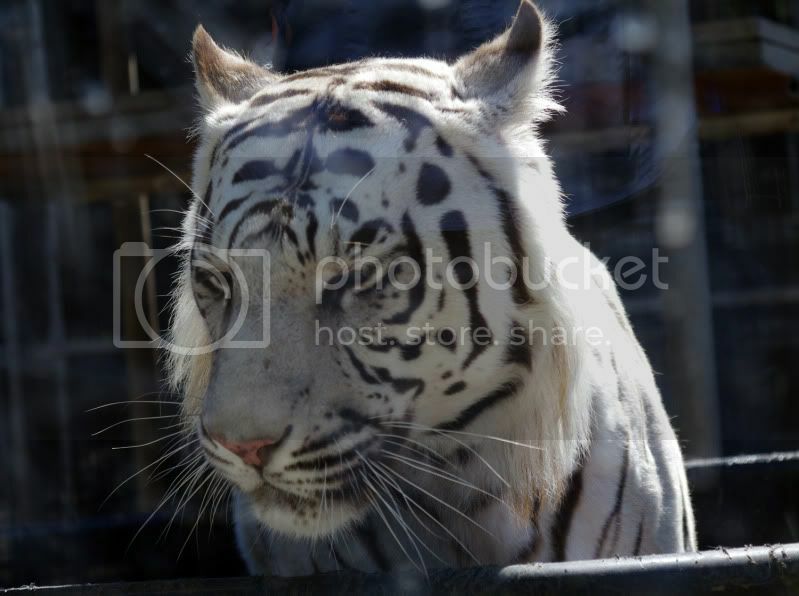 Bagheera is a tradition orange and black tiger, and Vitez is another white. They have been slowly and with barriers trying to introduce the four to one another, but the head cat keeper went with us on our tiger tour, and she told us the behavior they're exhibiting is not friendly. We saw some of it for ourselves (and I snapped a few pictures), so the four will never actually be together in one place. Taj is the most dominant of the four. Bagheera wants to challenge him. 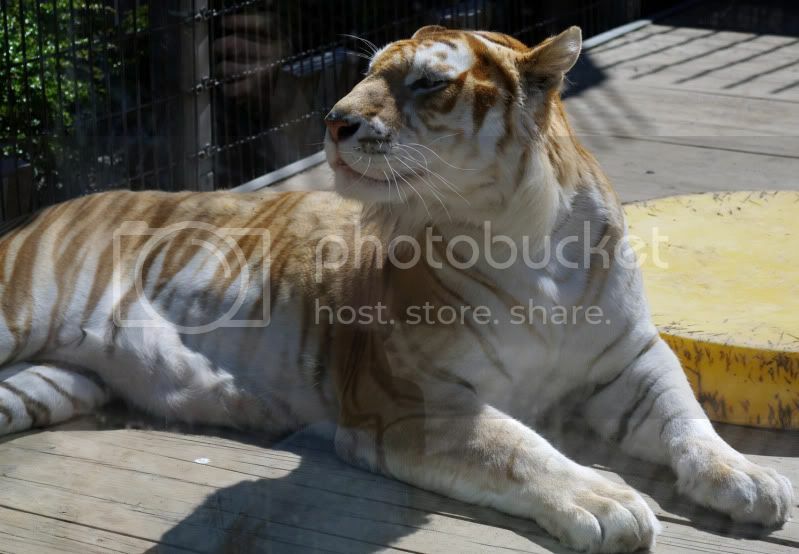 The zoo can't ever allow this to happen, because it's likely at least one of the tigers would be killed.